Speyside Distillery, nestled within the magnificent Cairngorm Mountains, is widely acknowledged as being the prettiest of all Scotland’s distilleries. Originally a barley mill and croft dating back to the 1700’s, it finally closed in 1965. Over the next 25 years, Speyside was slowly and lovingly converted into a single malt distillery, which then started producing spirit on Christmas Day 1990. The distillery draws its water from the Spey River tributary with the River Tromie using the old mill lade, which originally ran the waterwheel that powered the old mill. Produced with spirit distilled at Speyside Distillery, and matured in American bourbon barrels and heavily toasted port casks from The Douro Valley. Selected from some of the oldest stock in our warehouses, this bottling has been selected from sherry butts laid down in 1998. The long aging has given this bottling a smooth and mellow texture with big, mouth filling, flavours and a long harmonious finish. Bottle at 46%, non chill filtered and with no added colouring. A very limited release of 1,500 individually numbered bottles. A very popular multi-vintage bottling from Speyside Distillery. Drawn from different ages of the Spey stocks to give a warm and silky dram with bags of flavour and intensity. 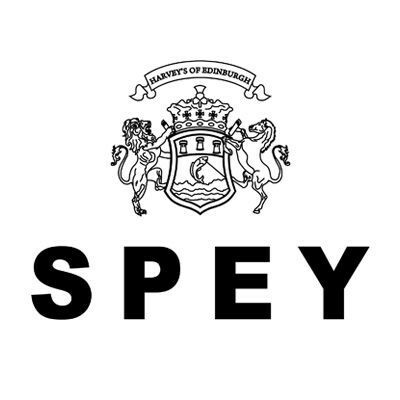 A combination of Bourbon and Sherry casks are used to give layers of flavour and richness to this, Spey’s biggest-selling offering. Supplied with an exclusive wooden presentation case. The first ever peated distillery bottling from Speyside Distillers. Produced from peated barley, which the distillery only used for a small amount of time each year. 100% matured in bourbon barrels, & bottled a 46%, non chill-filtered and with no added colouring. A limited release of 18,000 individually numbered bottles. Initially aged in bourbon casks, this bottling has been finished in the Tawny Port casks from the family run winery, Quinto de Filoco, for 6 months. A limited release of 18,000 individually numbered bottles. Bottled at 46%, non chill filtered and with no added colouring. Trutina, in Latin, translates as honest & pure, and this release signifies the natural, simple characteristics of our distillery. 100% maturation in bourbon casks, bottled at 46%, non chill filtered and with no added colour. Limited release of 18,000 individually numbered bottles.